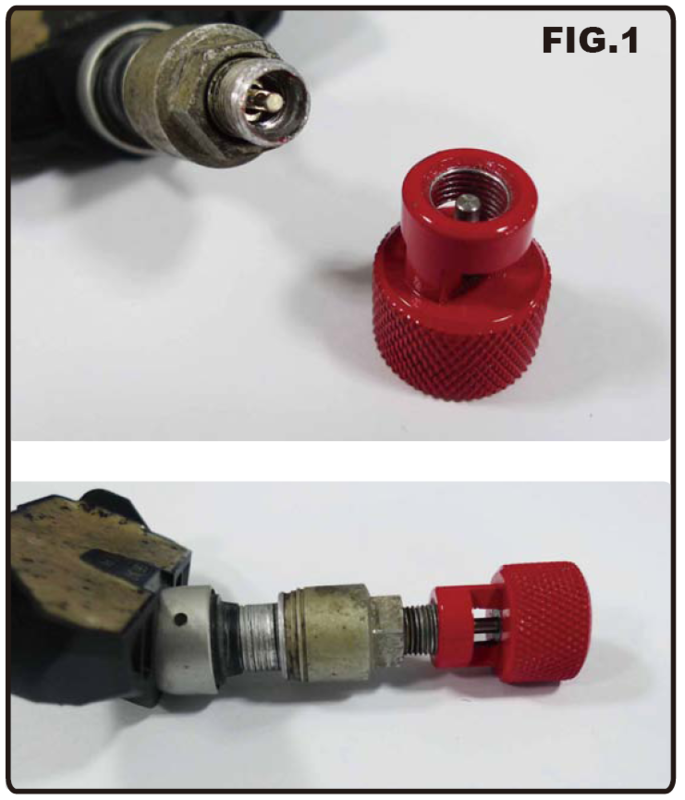 • No need to removing TPMS valve core. • Safely release the air. • Four same sizes noted with position mark help users to install the tire back the same position. • Save time to reset the TPMS system with computer. 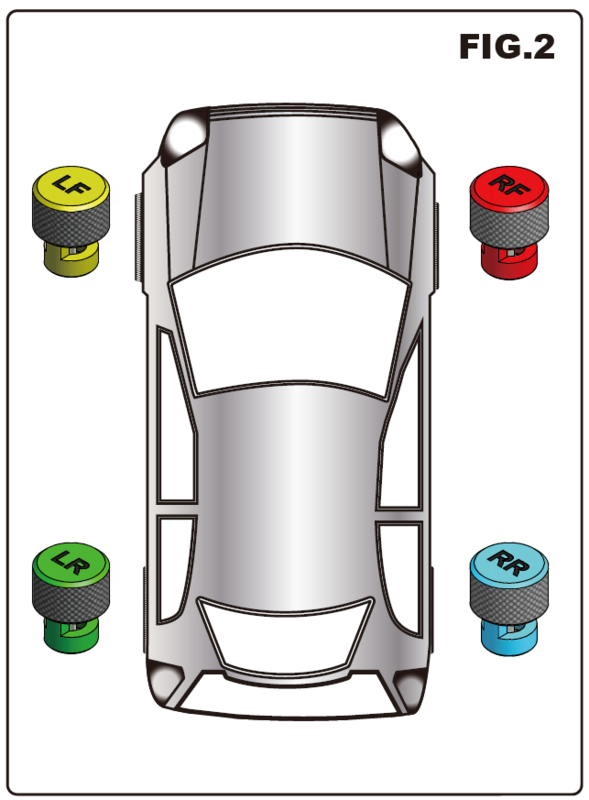 Step 1: choose each colorful cup with position mark, and install it with TMPS tire valve. Step 2: Air is released easily. Step 3: Remove the tire and do repair work, then install four tire back to original position. Step 4: Put four colorful cup back to storage EVA.